In an attempt to make his work environment more efficient, Sheldon decided he needed to add a little "productive stress" to his daily routine. When blasting the air conditioning didn't work, the string theorist was forced to come up with another way to increase his anxiety. His solution? Crash girls' night and immerse himself in some seriously uncomfortable menstruation conversation. 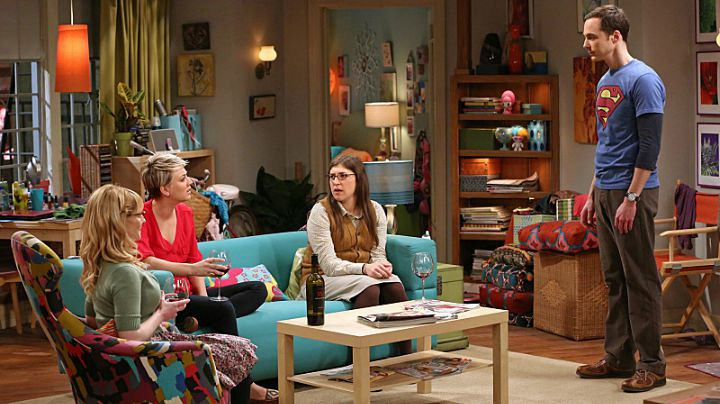 Unfortunately for Sheldon, the ladies weren't talking about their cycles—because, as we all know, as they normally don't—and they weren't about to allow him to ruin their wine time. Instead, they entertained his ridiculous question about whether werewolves could swim. The moral? A man can interrupt girl hangs, but he can't make their time together any less special.